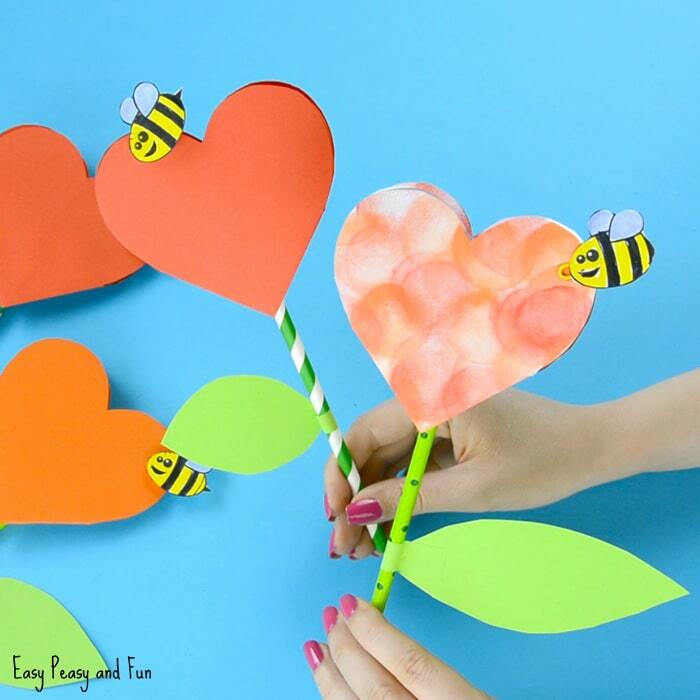 We have another wonderful heart and flower craft to share with you! 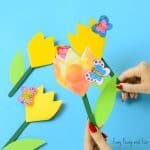 This paper heart flower craft is perfect both for Mother’s day (a great alternative to your regular Mother’s day card) or for V-day. 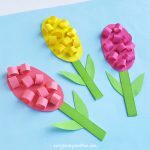 It’s also a great flower craft idea for kids to make any other day of the year when they just want to spread some love around! 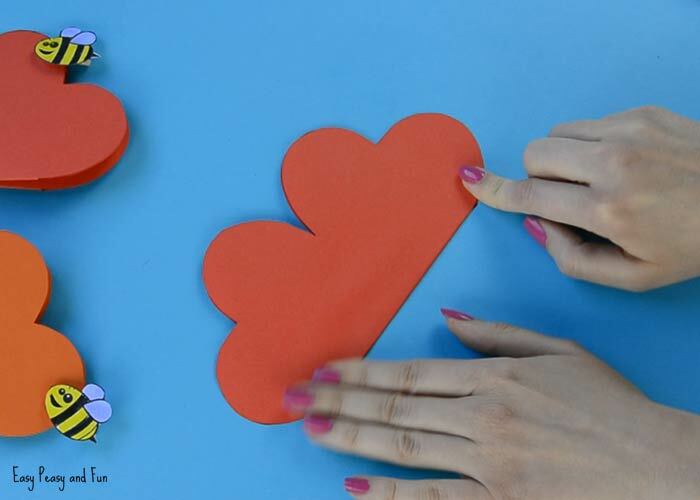 We love it when an idea inspires a new idea – as you guys loved the DIY heart notebook craft so much we decided to make a “spin off” if you will. 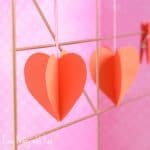 After some though a heart shaped flower craft idea pooped to mind. So fun! Designing this one was easy peasy as we already have the DIY heart craft notebook but there was one “problem”. Once the flower was made and folded it looked cute, but when you opened it for the first time it just didn’t go back to it’s heart shaped position as well as I would hope. But fear not! Bees to the rescue! So I also designed a bee that, when glued to a paper clip or a mini clothespin, holds everything nicely together (as well as adds to the overall cuteness of the project). 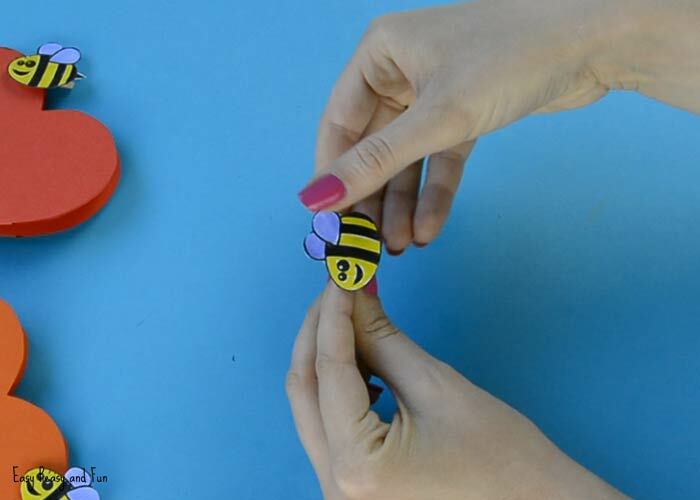 The craft template for the bee is also available for you to print but we naturally love it even more if the kids will design their own. 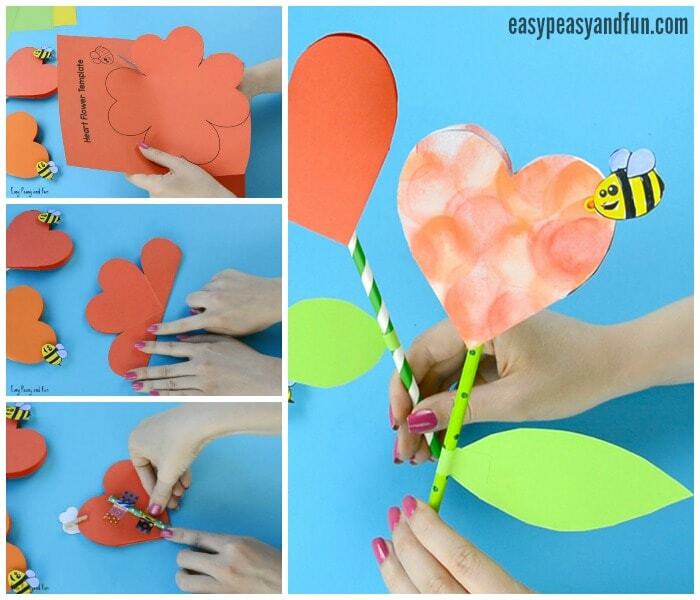 Ready to make your own paper heart flower craft? Let’s make one! You can print the template on white paper and have the kids decorate it as they see fit or you can print it on a colored paper. 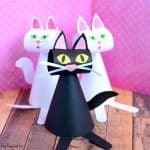 We used regular print paper to make this craft. This step is optional but we think it turns out really cute! 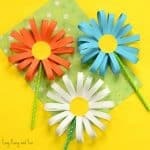 Cut a circle out of yellow paper and glue it on the flower shape. Write your message (perfect if this will be a card). 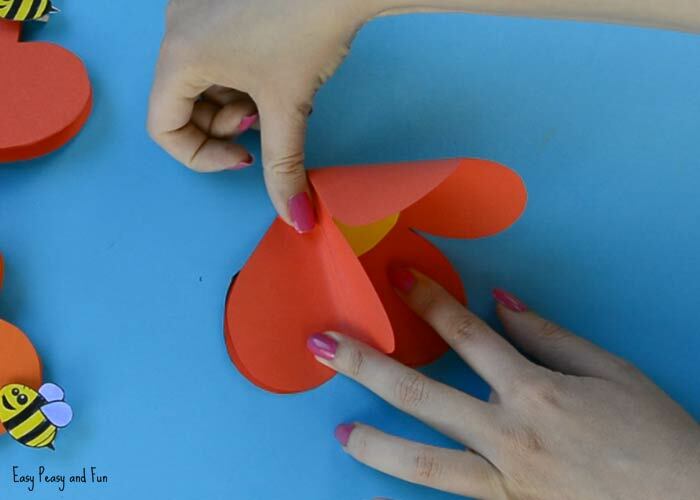 Now fold the flower shape as shown on the picture bellow. Unfold. Fold again at a right angle to the first fold (as shown on the picture). Unfold. Fold again, this time at a 45 degree angle to one of the previous folds (between the first two folds) as shown on the image bellow. This next step is a little bit tricky when you do it for the first time. But once you manage to make one you will see it’s actually easy peasy! I do recommend you rather watch the video for this step. You need to push the last fold inside the flower shape. Start one one side and then push in the other too. You should see a heart shape. 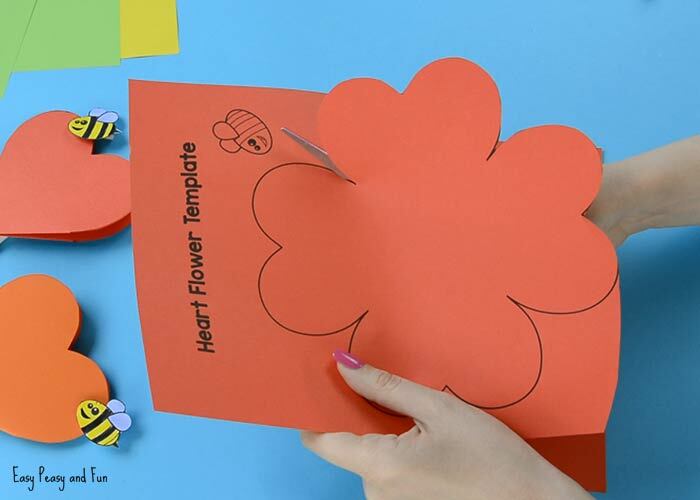 Color the bee and cut it out (if you printed on the white sheet of paper you can color the bee that is on that sheet, if not there is a separate sheet with bees you can print on the white paper). Glue it on a clothes pin or tape it onto a paper clip. Clip it on the heart shape. 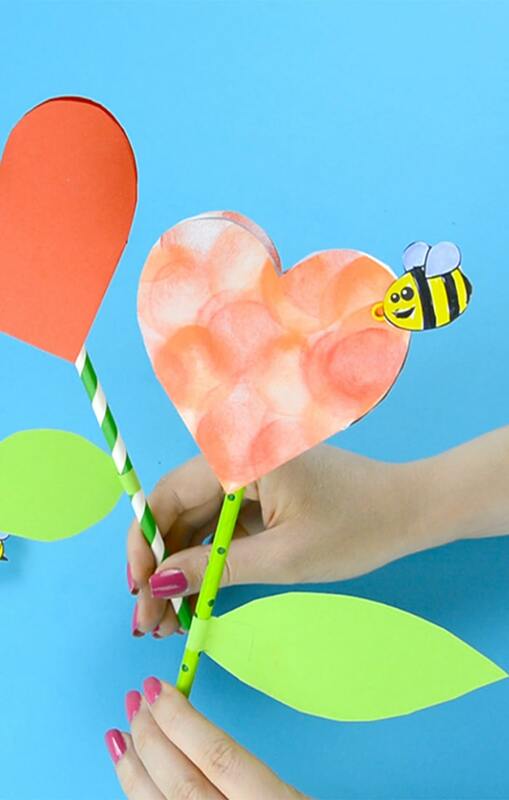 Take a green paper drinking straw and glue it on the back of your heart flower with clear tape – two rows will prevent the straw from moving. 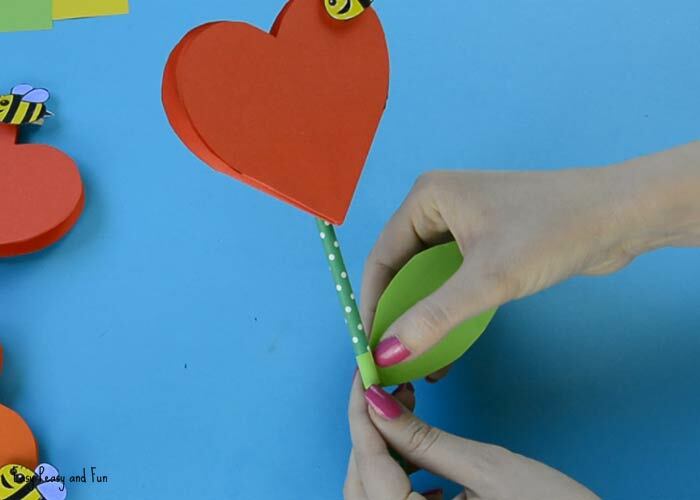 Cut a leaf out of green paper and glue it on the paper heart flower craft. All done! 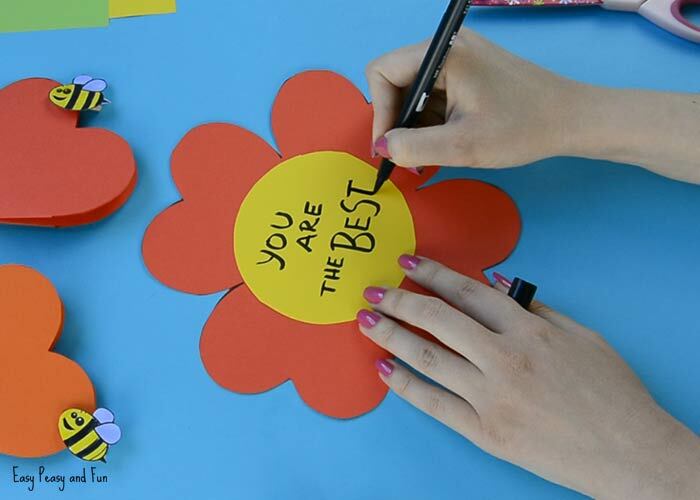 Your paper heart flower craft is ready to be gifted to someone special! 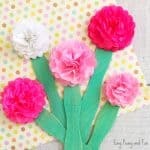 Unless you want to make a bouquet then back to crafting you go! Fill out the form and get the template sent to your email adress. You brighten my day everyday making new things…so glad you are here! Super page And ideas! Thank you! I like this creative ideas. I just want to make some of your ideas with my little ones!! Thank you for your creative idea. It’s a beautiful gift for Mom’s day. Thank you for sharing. I simply love your page. Hello, I’m a portuguese teacher and I love your ideas. Hi! I love this idea but I can’t download the template. 🙁 I entered my email address as requested but when I click the link, nothing happens. Please help. Thank you! Right after I posted my last comment, the link worked! All is well with the world. 🙂 Thank you so much for sharing your talents with the rest of us! me and my kids enjoyed it! Love to make this… you are so creative. This activity is fun and interesting. I subscribed and was able to access the link. Thanks so much! I do not see the link to download the template. How do I do it? Super. We’re going to make this beautiful flower as a birthday card for grandma. She has her birthday a bit before Valentine’s Day, so she will have a original card thanks to you. What a beautiful gift and idea for Valentine’s.